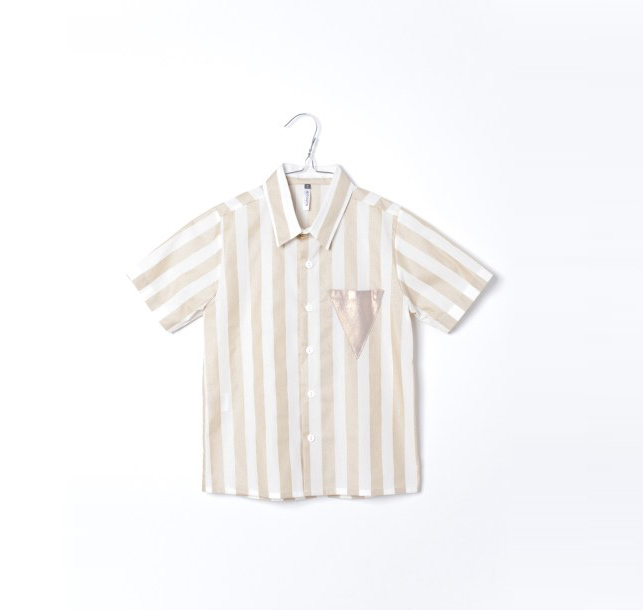 Gold and white striped shirt by MOTORETA, made from 100% cotton. 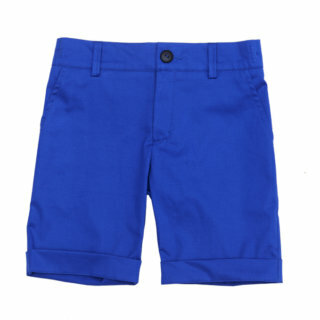 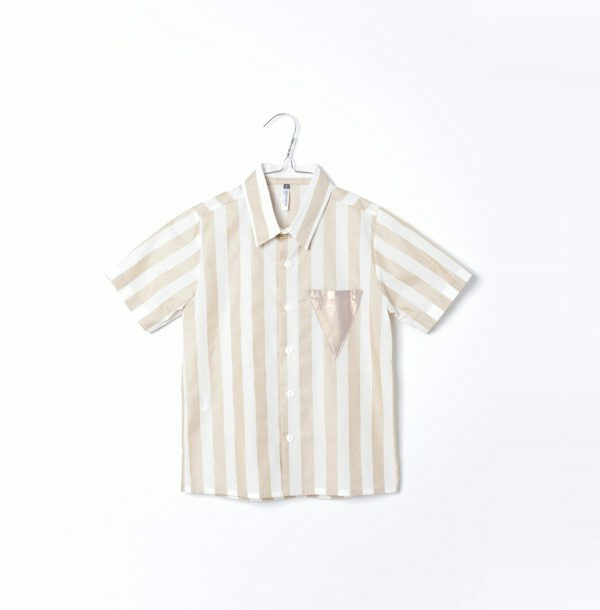 The short sleeved shirt comes with a golden triangular chest pocket. 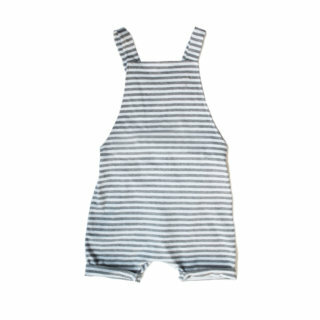 An airy and elegant garment for mild summer days.